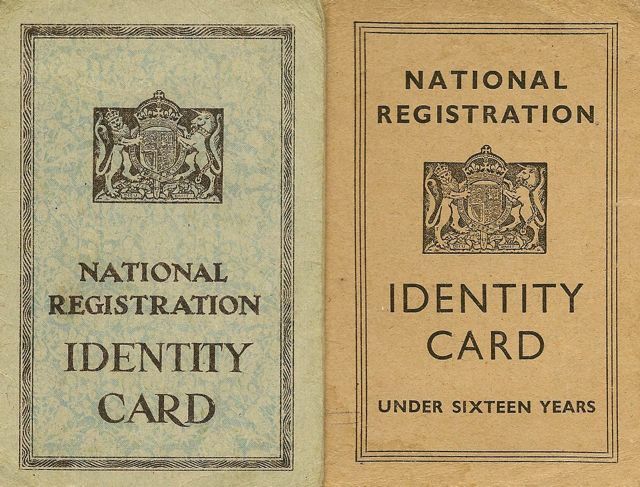 The recent cancellation of the modern identity card scheme now leaves the WW2 scheme, based on cardboard folders, as the only national scheme undertaken in the UK. Many residents retained their cards, even though the scheme was disbanded at the end of rationing in the 1950s. The cards were vital, not only for security, but also for access to the personal ration books which controlled supplies of a wide range of food and non-food goods, during and after the war. Design work took place at Salisbury Hall, which is considered to be the home of the Mosquito. It was a versatile and swift craft; faster than anything else in the sky. Versions were adapted for reconnaisance and photography, bombing, fighting and many in-between roles. Its timber framework gave it the sobriquet the wooden wonder. Over 7,000 were built, though not all at Hatfield. A considerable workforce was required at Hatfield and at shadow factories which produced parts; many coming from the eastern districts of St Albans. A modern spine road through the mixed development, which replaced the airfield, has honoured the wooden wonder. 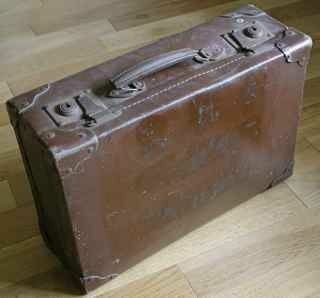 Each street required a trained individual responsible for Air Raid Precautions (ARP) during WW2. Others were responsible for first aid, fire-fighting stirrup pumps and for fire-watching rostas. 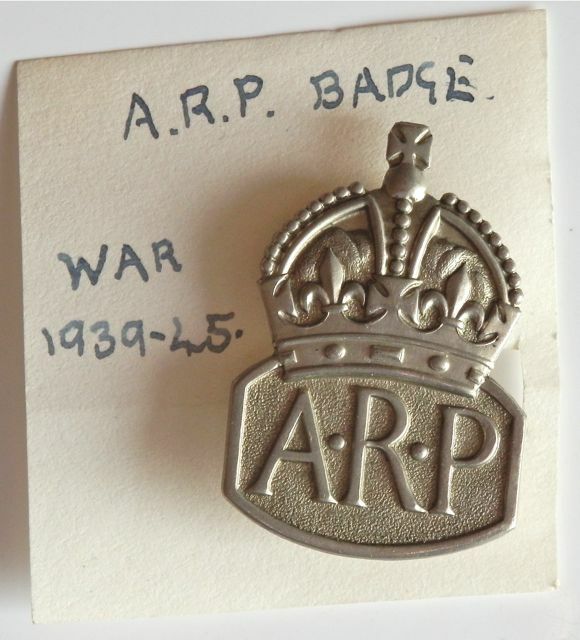 Because of the threat of gas attacks, ARP wardens and others undertook specialist training, for which a certificate was awarded. A few of these badges and certificates survive, such as the one held by Thomas Stone of Woodland Drive. This company was a manufacturer of portable buildings, with premises in Guildford Road. In addition to popular ranges of sheds and garages, the company made greenhouses and bespoke designs, mainly in timber, although it did experiment with asbestos panels for its larger structures. In the eastern districts especially, there would have been hundreds of sheds, each with the familiar Janes & Green aluminium label nailed above the door. Quite a number probably still survive. Manufactured from a small workshop behind a house in Hatfield Road, the company was begun in 1923 by Stanley Messer, initially in London. The company made brass darts. A Shropshire firm made the feather flights from imported turkey feathers. 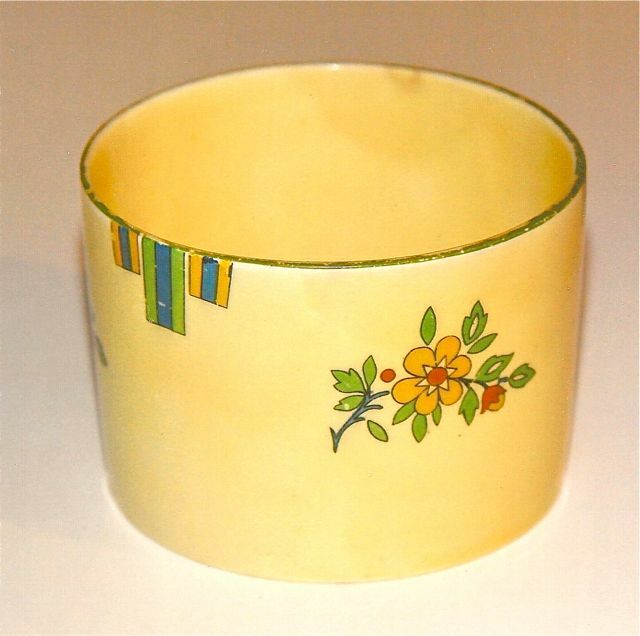 There were many different patterns and shapes; the company even made a special blue-and-yellow dart for St Albans. Around 90 people worked at the Hatfield Road premises. 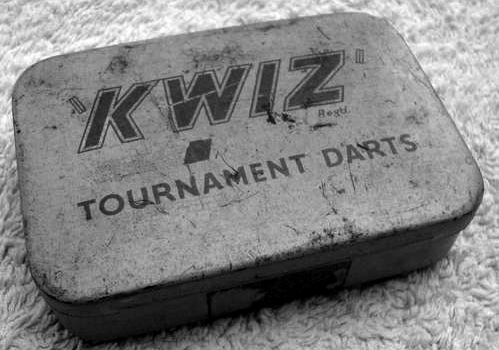 Qwiz darts were used in many international competitions. The firm closed in 1980 when tungsten was used instead of brass. At Salisbury Hall, now home to the Mosquito museum, is a memorial to the air and ground crews of the Mosquito fleet. 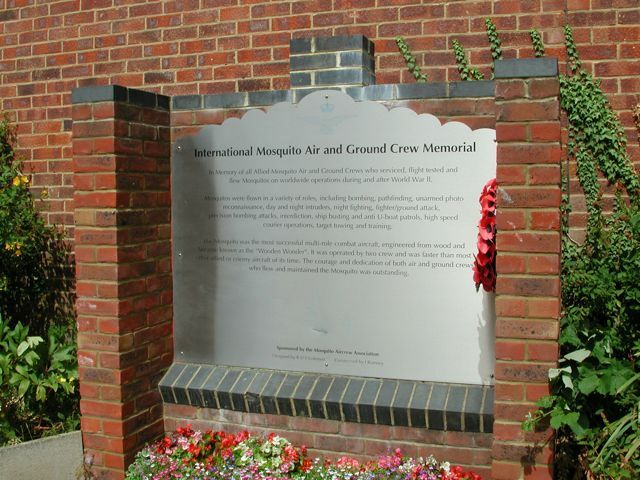 Part of the citation reads: "In memory of Allied Mosquito air and ground crews who serviced, flight-tested and flew Mosquitos on worldwide operations during and after World War II.... 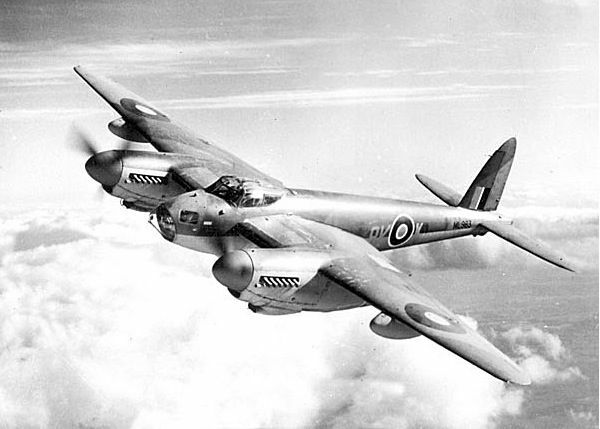 The courage and dedication of both air and ground crews who flew and maintained the Mosquito was outstanding." In urban areas street names and property identification is standard; less so beyond in rural localities, so identification is less straight-forward. Farms, in particular, with their delivery and collection vehicles, inspectors, vets and casual workers, who may all be unfamiliar with the area. 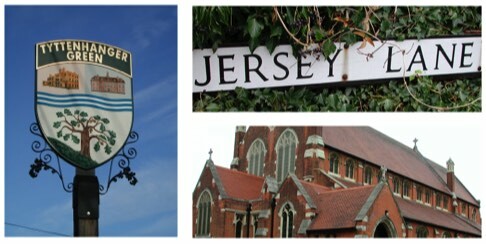 Although Jersey Farm had ceased to operate, and for some thirty years has been a developed residential district, the nameplate which had stood by the lane side, was recently re-discovered and taken to the Museum of St Albans. Before the 1930s sale by the Marten family the farm had been known as Evans' Farm. Many older schools possessed maypoles, which had either been donated or were borrowed for the special spring celebrations. A very early pupil of Fleetville Elementary School recalled such a maypole. A traditional maypole was still in use there in the 1950s, and maypole dancing has continued through to modern times. Top: Fleetville School at Clarence Park 1912. Bottom: a school playground in Watford. elementary schools. 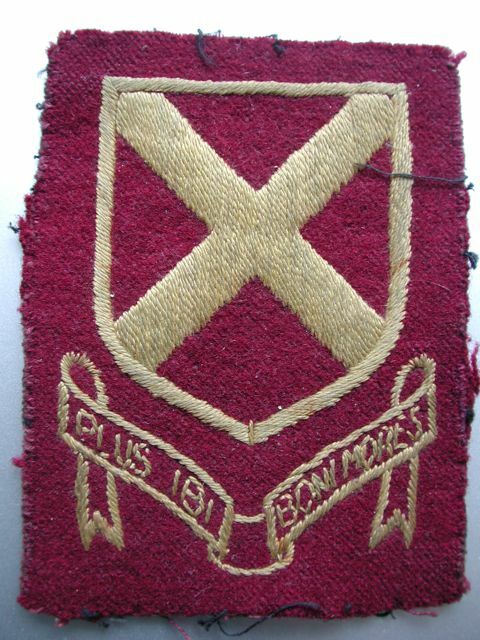 As uniforms became an accepted mark of belonging in the 1930s, all schools adopted colours and badges which set them apart from other schools in the city. As with many mottos, Beaumont Boys' was to do with personal character. The girls' school which occupied the same site – indeed the same building – had a motif which included oak trees. There are already two pub signs in the collection. 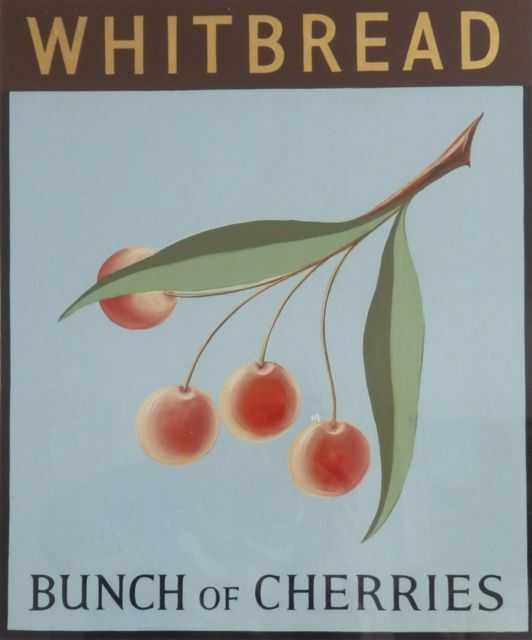 The Bunch of Cherries sign is included because it is thought to be unique in British public house names. The pub was launched in temporary buildings in 1949 as a Whitbread establishment. 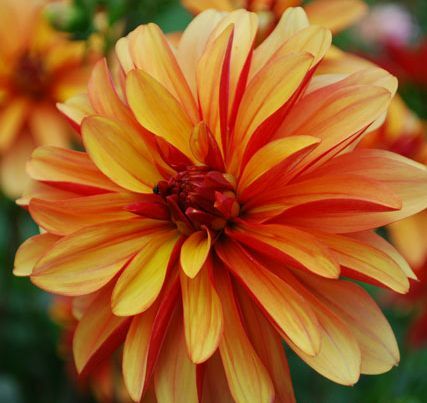 The name is thought to relate to the cherry orchard behind the building, which was part of Winches Farm. The design was by Frederick Juniper ARIBA, and the sign produced by the company's signboard department. The permanent building on the site is now owned by Greene King and the name changed to the Speckled Hen. In 1948 the National Health Service (NHS) was launched, and long queues for many medical services formed, as people were no longer obliged to pay, or to take out separate insurance cover. Meanwhile, children's fancy dress competitions continued. This case, with "NHS: PATIENCE, PATIENTS" painted in white (you can just see some of the scratched out lettering), together with a white overall coat and borrowed stethoscope, appeared with the author at three different events. One was the Coronation tea party at Fleetville School in 1953. Of course, the political comment was lost on a 9-year-old, but the judges all seemed to 'get it,' and a prize was duly awarded. From their earliest days, Scout troops and Wolf Cub packs maintained detailed log books. 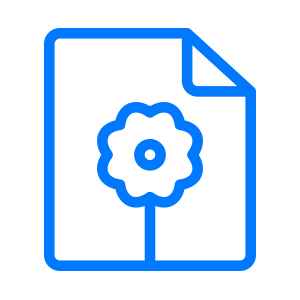 They vary widely in style, but they all recorded details of activities at weekly meetings, special events such as parades, jamborees and camps. Many include sketches, photos, maps and programmes, and as a result, are a fascinating insight into the group and its leaders at the time. 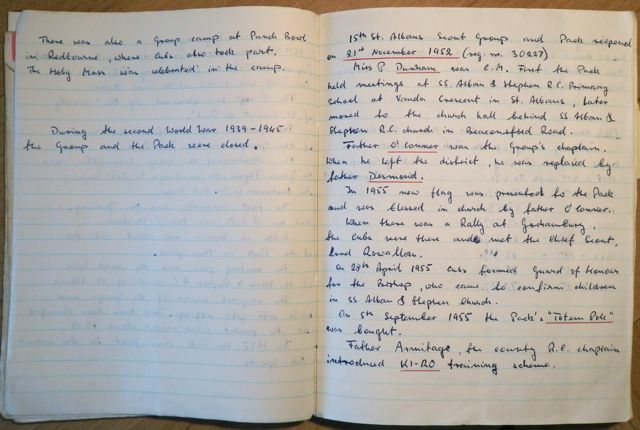 Although log books are no longer generally maintained, there remain well over 50 years worth of wonderful records from many of our scout groups, all in the care of the archive of Hertfordshire Scouts. Celebrations were held at the beginning of June 1953 for the Queen's coronation. The city council had purchased appropriate commemorative items for distribution to children at the schools. 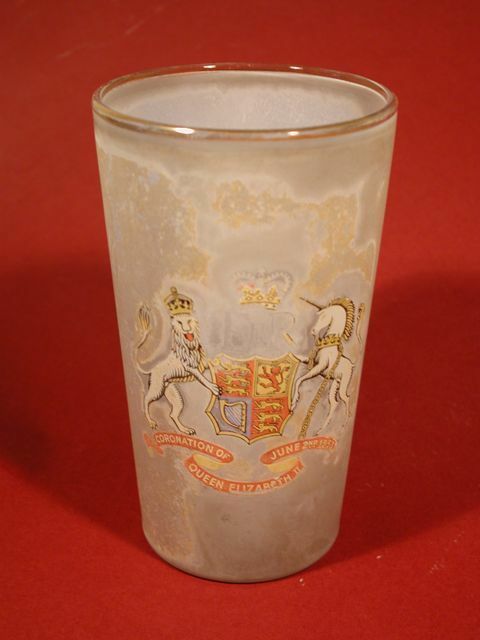 The celebrations at Fleetville School included a picnic and fancy dress competition, where children received gifts, such as this glass beaker, now much deteriorated. It was orginally filled with sweets wrapped in cellophane. They, of course, did not last long. Major national milestone events such as these, where local groups and individuals celebrate in different ways, fuse into a shared common experience. The premises in Bycullah Terrace. 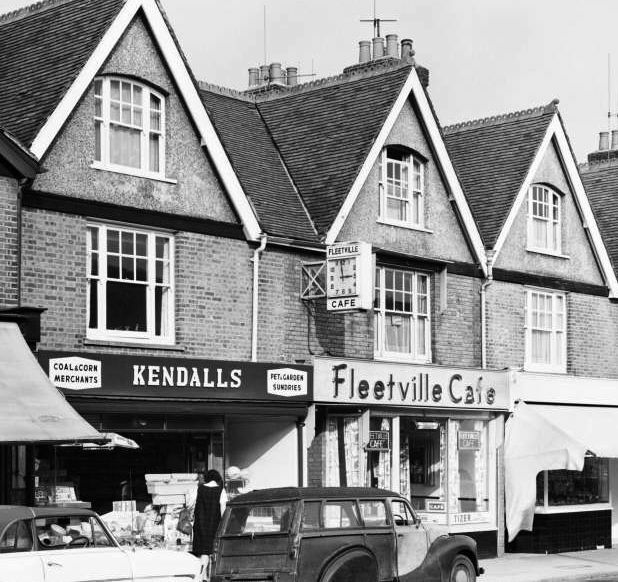 Hatfield Road, has always been a place of refreshment and has been headed with the name Fleetville Cafe since 1946. Before that it was variously Coffee Rooms and Dining Rooms. The author has not yet discovered when the double-faced electric clock was first attached to the building, but its location was certainly beneficial for good timekeeping at the main factories. Fleetville was also a key stopping point for the many bus routes, and reminders for children en-route to school. It is probably best recalled today for its rather eccentric level of accuracy – on only two occasions each day! Cricket matches attracted sizeable crowds in the 1950s, if the county team was playing on Sunday. Families enjoyed sitting on the grass beyond the boundaries, where children might have the chance of returning a four or six. A complete team autograph sheet was available to buy, and this helped to fund a benefit for one of the players – cricket was largely unfunded in those days. The owner of this team sheet carefully wrote the names of the Surrey county players in the same order. Some were well-known national and Test players in 1957. Robb Butler was the owner of a car business at the corner of Hatfield Road and Cavendish Road. 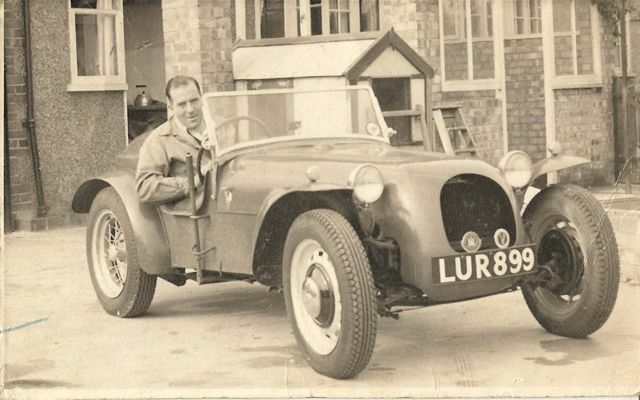 He constructed a rallying car from parts which originated from a number of motor manufacturers; a few parts had also been made specifically for aircraft. The distinctive green sports car could often be seen at Mr Butler's home at the corner of Hatfield Road and Oakwood Drive. If it wasn't there it was likely to be at the garage. Robb often attended rallies in different parts of the UK, and this delightful little green car, LUR 899, would be in the thick of the action. 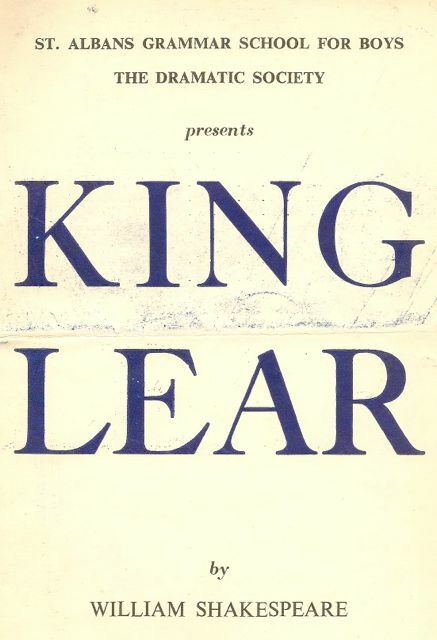 All schools presented concerts, plays and shows at intervals from the 1950s. Some of the programmes for these performances may survive with the families of former pupils. All are valuable as a record because they contain the names of all who took part. These representative examples recall the time when many secondary schools, if they weren't presenting Shakespeare, put on performances of a Gilbert and Sullivan operetta. The shows at primary schools were likely to have been specially written plays and musical items presented by each of the classes. How many other programmes from this era still exist?. It is surprising to discover this photo panel empty. When an early patient arrived at Hill End, all belongings they had brought were taken from them, and either returned to a relative or were destroyed. Rings, necklaces, Bibles, photographs, letters, false teeth or other reminders of a previous life. Even their own clothes were replaced with 'institution wear'. They began their asylum lives with nothing; equally they left with nothing. No personal item that marked their withdrawn lives. No artefact which tells us about any of the thousands of men, women and children who spent their precious time at the asylum. The empty space is a memorial to all of them.